Jerry O'Connell lends his talents to this delicious romantic comedy, —-more Cary Grant then Hugh Grant—-begins on a New York to Los Angeles flight. When Peter Russell finally meets the woman of his dreams he falls as madly in love as you can on a flight from New York to LA. Her name is Holly. She's achingly pretty with strawberry-blonde hair, and reads Thomas Mann for pleasure. She gives Peter her phone number on a page of The Magic Mountain, but in his room that night Peter finds the page is inexplicably, impossibly, enragingly...gone. So begins the immensely entertaining story of Peter and his unrequited love for his best friend's girl; of Charlotte and her less-than-perfect marriage to a man in love with someone else; of Jonathan and his wicked and fateful debauchery; and of Holly, the impetus for it all. Along the way, there's the evil boss, the desirable temptress, miscommunications, misrepresentations, fiendish behavior, letters gone astray, and ultimately, an ending in which every character gets his due. Both incisive and wonderfully funny, this is a brilliantly understated comedy of manners in which love lost is found again. "James Collins has written a romantic, funny and insightful page turner about love in modern times, missed opportunities and the wheel of fate (with a blow-out!) that is so engaging and real, you will find it impossible to put down. Peter Russell is an everyman filled with longing, lust and good sense. I promise you will root for him as fate throws him curves aplenty on his path to true love. 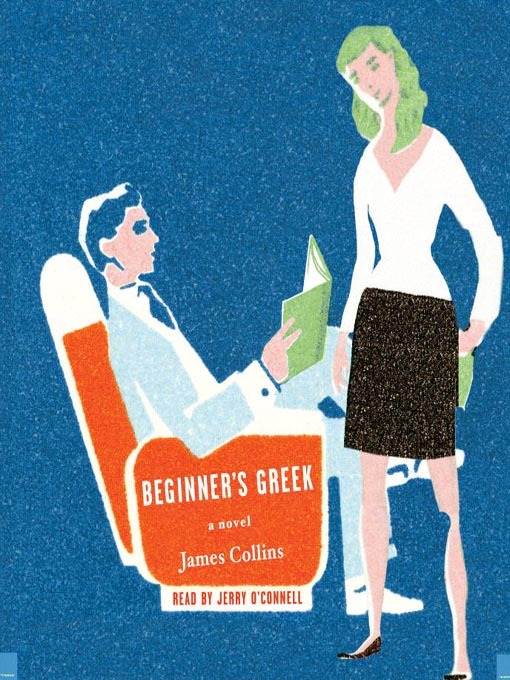 BEGINNER'S GREEK and Peter Russell are keepers."